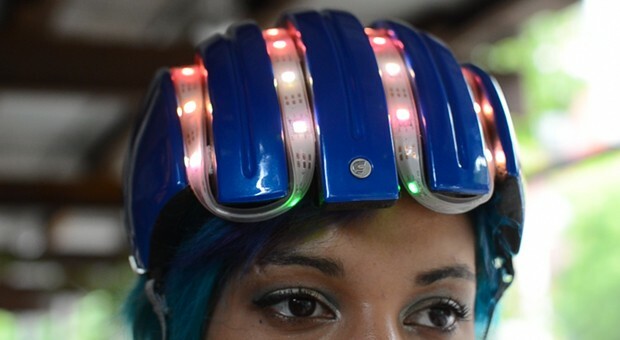 Check out what MAKE alum Becky Stern has been up to over at adafruit, lately. Adafruit's Flora wearable platform is barely a year old, yet it already has a little sibling on the way -- and we do mean little. 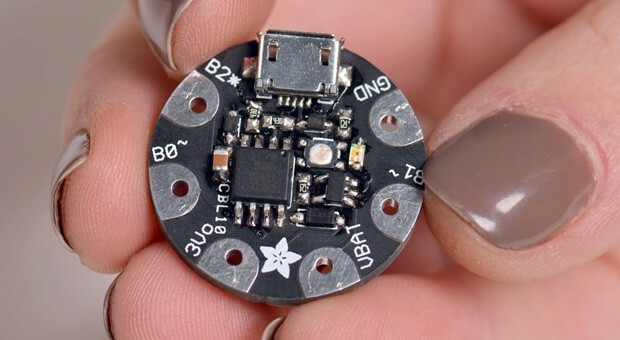 The newer Gemma is Arduino-programmable over USB like its relative, but measures just over half the size of the Flora at an inch in diameter. It's even bordering on cute, as far as circuit boards go. Before developing any grand visions of wearable computers, though, be aware that Gemma's features scale down with its size: there's only three input/output pins, and a limited amount of memory won't let it handle more than about a dozen of Adafruit's NeoPixel lights. All the same, any aspiring tailor willing to trade flexibility for subtlety in a costume will likely want to sign up for notification of the Gemma's in-stock date at the source link.